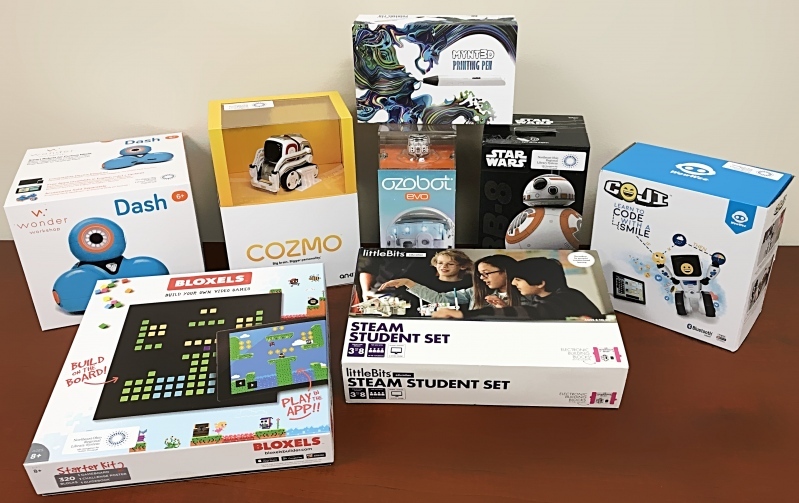 The STEAM e-Kits come jam-packed with the most innovative technology needed to teach science, technology, engineering, art and math in a fun and exciting way. Each kit comes with lesson plans so you can begin teaching fun and directed classes immediately. We know that one size does not fit all when it comes to technology and learning. Therefore, we created three distinct STEAM e-Kits according to different age groups and learning styles. You can choose from the Children’s Kit, Tween Kit or the Teen Kit, each with focused-technology to challenge children according to their age and skill level. Each STEAM e-Kit may be borrowed for two weeks at a cost of $35 for dues-paying member libraries and $70 for non-dues-paying member libraries. The STEAM e-Kits are delivered via Statewide Delivery System. For more information or to borrow these kits, please contact holly.klingler@neo-rls.org or call us at 330-655-0531.